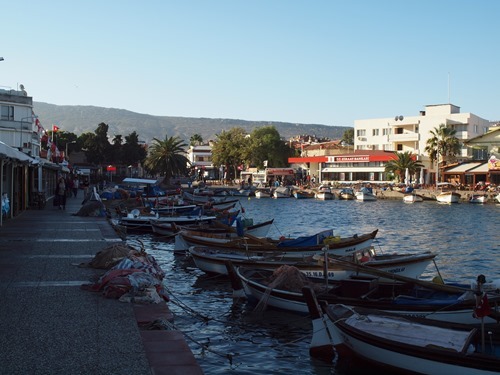 Foça is still an actual fishing village, so while you walked along the wharf with the tourist shops and restaurants, along the water side there were fishermen cleaning and selling their catch, fixing their nets and preparing to go out. I was lucky to run into a couple of pazars. 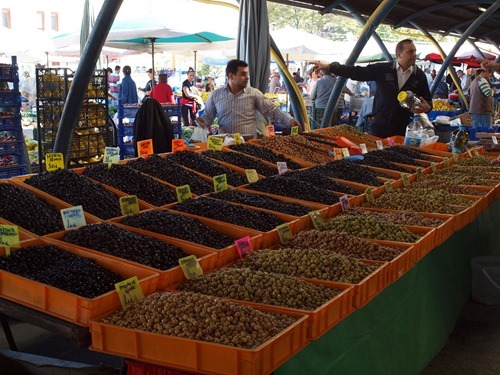 One was the typical pazar, the exception being a difference in some local produce and the amount and varieties of olives available. 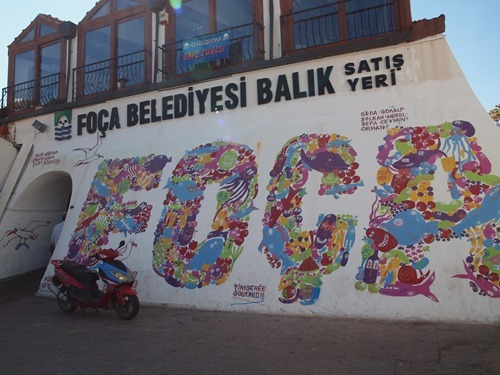 Foça is on the Aegean and the area is known for its olive production. 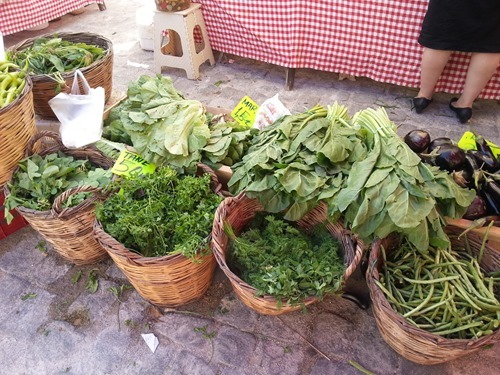 The other was a local organic pazar that was part of the “Slow Food” network. 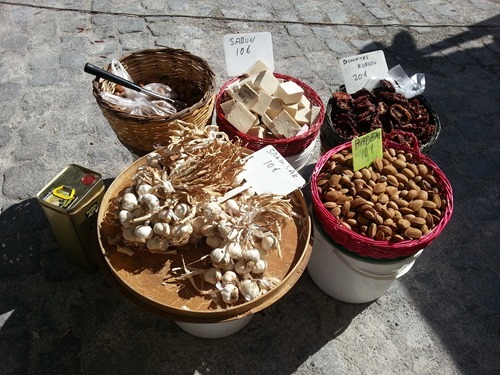 The products were locally produced with a minimum of interference and without the use of forcing or overproduction via hothouse. 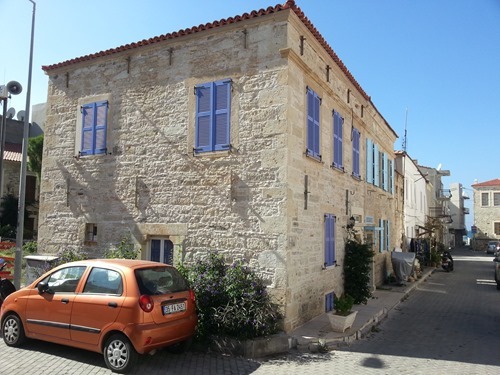 Foça used to be a Greek town, and so there are many beautiful old Greek stone (Rum) houses. Honestly, it was quiet and charming. 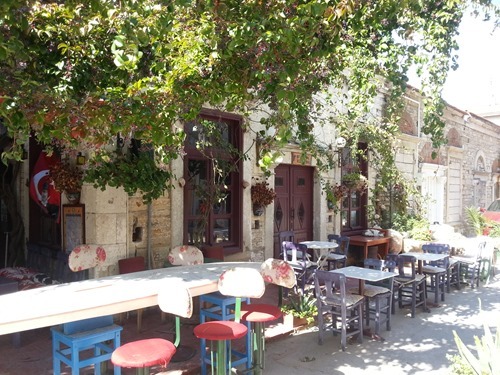 There were shops and restaurants enough to make it fun and interesting, but quiet enough that you did not feel bombarded by tourism. 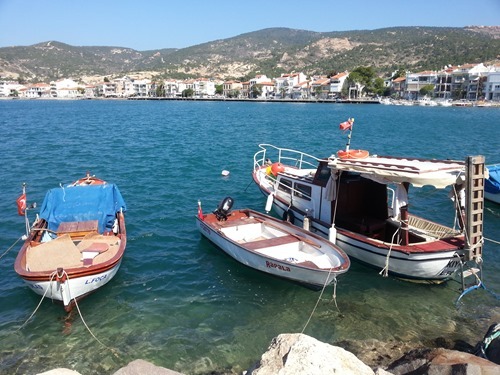 We asked one of the locals about living there, were there any negative aspects to life in Foça? She thought hard and then told us she would need more time to think about it. A few hours later she said the she still couldn’t think of one…It is definitely on our short list of places to live if we every move from Ankara! 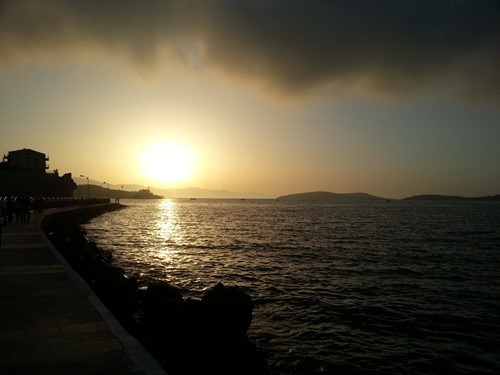 This entry was posted in Aegean, Bayram, Foça, Holidays, Vacation and tagged Aegean, Expat, Foça, Turkey by Jules. Bookmark the permalink.